We experience the world through our five senses. They give us the ability to understand our surroundings and to enjoy life. 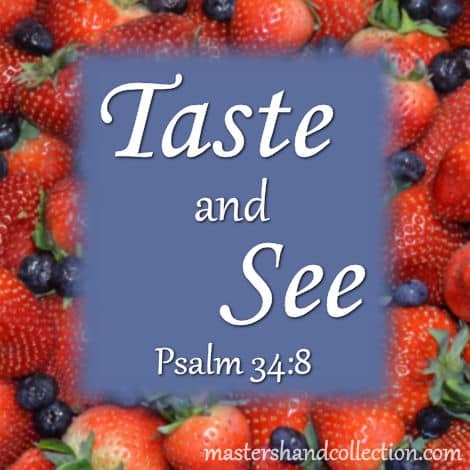 This verse from Psalms is an exciting invitation to experience the goodness of God through two of our God given senses, taste and sight. I love to watch all of those TV shows about cooking. The hosts often describe what their food tastes like for the viewing audience. The sweetness of a strawberry shortcake, how the spongy cake mingles with the buttery cream and rich berries. The flaky crust and gooey, warm filling of a tart cherry pie. Or a spicy, hot enchilada. The way the flavors burst in your mouth and fill your taste buds with pleasure. But the sense of taste is something that you have to experience for yourself. You can listen all day long to someone else describe what they are tasting, but in order to taste it for yourself you have to actually put the food in your mouth and eat it. In the same way that we can taste our favorite foods and savor them, we can also enjoy the goodness of God. But just like with the sense of taste, we have to be intentional about it. We have to put the time in to develop a relationship with God first. 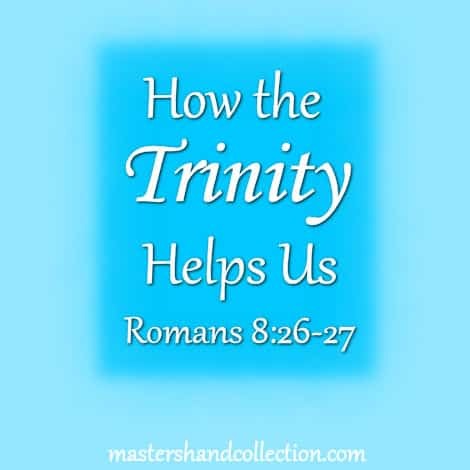 After we have fed our minds with God’s word and have thoughtfully developed a prayer life, then we will experience the fullness of God’s goodness toward us. The experience of tasting leads us to seeing. And seeing is believing. 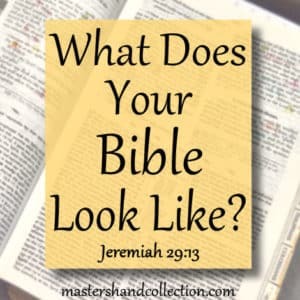 If we believe in our hearts that God is good, then our eyes will be open to seeing His goodness on display in our lives. 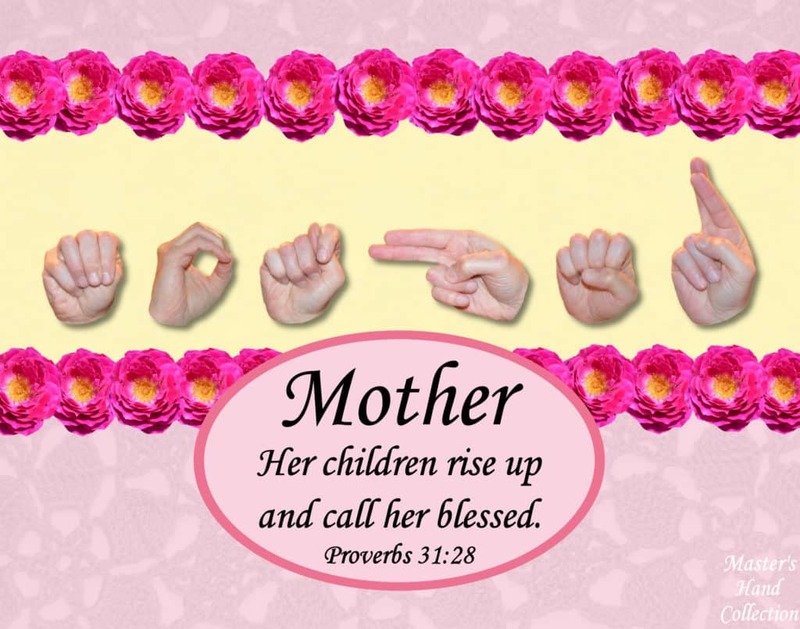 God has given each of us many blessings. 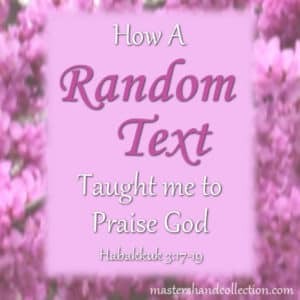 Through the simple things like getting us to and from work safely every day, to the big earth shattering moments where life takes an unexpected turn, God’s goodness never changes. We are able to see God’s goodness just like we can see the beauty of a sunset with its brilliant colors fading into each other. The vast ocean with its sandy beach. A babbling brook, cool and blue. Or a rolling hillside, lush and green. Think of all of the amazing sights God has created for us to see! God is always good! And the outcome of both tasting and seeing, is believing in the goodness of God. Through both the good and bad times, God shows His goodness by blessing us with mercy and compassion. Because He is good, we are able to taste and see His goodness surrounding us when we need Him the most. He loves us and wants to share His goodness with us. Beloved let us love one another, for love is of God. The “L” word, LOVE. So many people are afraid of it. They’re afraid that if they feel love they will get hurt. And they’re afraid that if they show love they will appear weak. 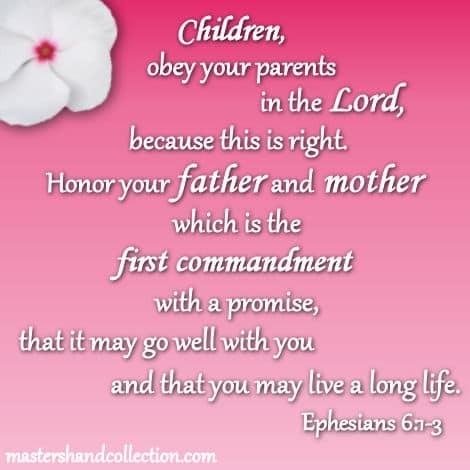 But love is the foundation of our Christian faith. Without love we would be lost. The book of First John talks at length about love and what it means to us as Christians. So, today I’d like for us to look at two fundamental parts of love that represent our faith in Jesus. The most important component of our Christian love is that God loved us first. God, the Father, loves us. But our sins are a barrier that separates us from Him. No matter how hard we try we can’t get past it on our own. So, God sent, Jesus, to be the sacrifice for our sins. When Jesus died on the cross the barrier of sin was torn down and the relationship between God and man was restored. Jesus, the Son, also loves us. 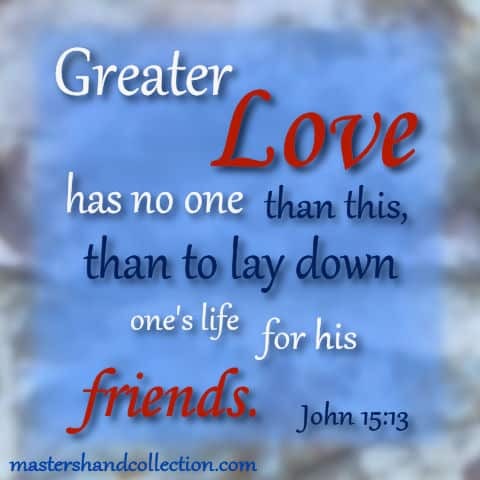 He said in John 15:13, “Greater love has no one than this, than to lay down one’s life for his friends.” Jesus knew that He would face betrayal, pain and death on a cross, but He willingly came to earth anyway. He laid down His life for us so that we could have eternal life with Him. 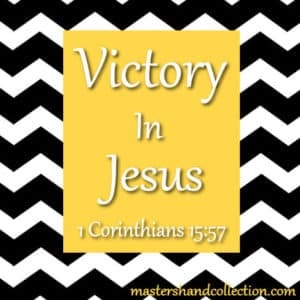 Without the great love of Jesus we wouldn’t have salvation and the assurance of heaven. 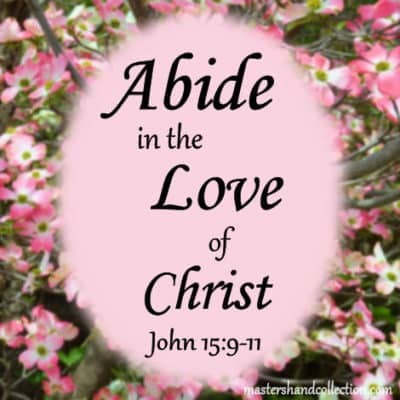 It is only because of the love of God the Father, and, Jesus the Son, that we are able to return that love to Him. 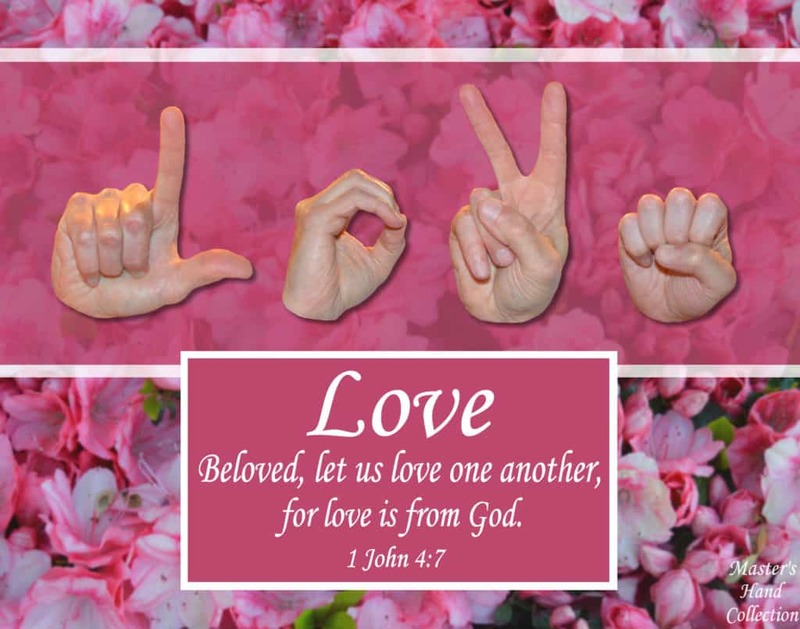 The second part of our Christian love is to show love to the people in our lives. This verse, from 1 John, talks about the love we have for our Christian brothers and sisters. If God loved us, then we, in turn, should love other believers. How can we show love to an unbelieving world if we can’t even love other Christians? We show this love by being kind to each other, showing respect when we disagree and meeting the physical and spiritual needs of our fellow believers. 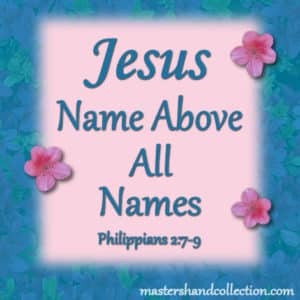 These words of Jesus tell us two things. First, love in a Christian’s life isn’t an option. It’s a commandment straight from the mouth of our Savior. And that love should reflect the love Jesus has for us. 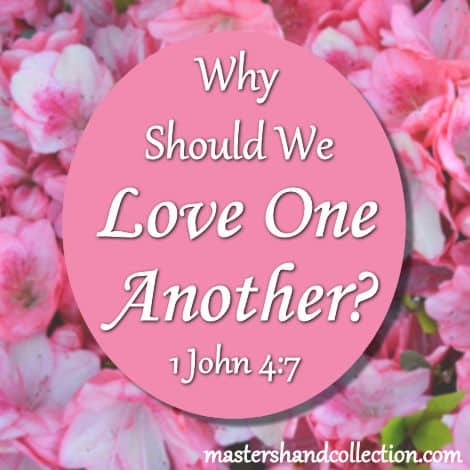 If we truly love one another, then we will give the very best of ourselves just as Jesus did for us. Second, our love for other Christians will be evident to the world. They will see how we treat each other and they should know that we follow Jesus because of it. The question is, what will they see? 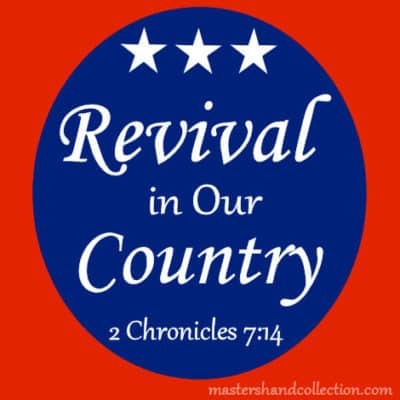 Will we be a good witness by our actions and turn them to Christ? Or will they take one look and decide that Christianity isn’t for them? I’m not perfect. I mess up. There are times when I get angry or frustrated. I say things I don’t mean or overreact to a situation. I don’t always live up to the expectations of what Christian love should look like. Like everyone else I have my good days and bad days. 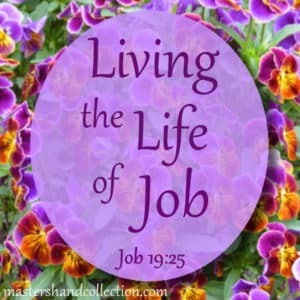 I’ll always be a work in progress, but I choose to follow God and let Him mold me into what He wants me to be. Thankfully, His love is greater than our sins and greater than my frustration. Every day is a new day and a new opportunity to show God’s love. We may not automatically feel love for every person we meet. Sometimes we click with people and sometimes we don’t. But that doesn’t mean that we shouldn’t show the love of Jesus to each and every person God puts in our path. We never know what is going on in someone’s life. They could be going through a very hard time and our love and kindness could be the beacon of hope that leads them to Jesus. If we are willing to let God lead us and show His love to those around us, we will be blessed for it. 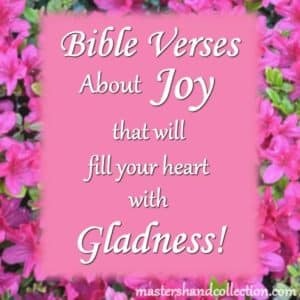 This is one of my favorite Bible verses about joy! 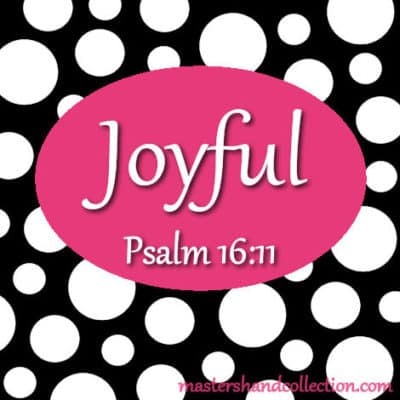 God promises that in our darkest times, joy is just around the corner. So if the future seems uncertain, hold on tight to this hopeful promise from our loving Father. 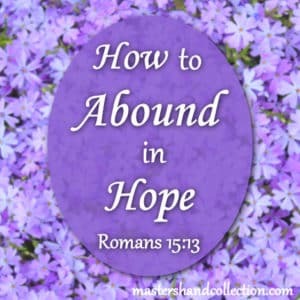 To abound in hope sounds like such an amazing thing to aspire to. The idea of having an abundance of hope and to be hopeful in all things, it sounds pretty great to me. But in reality, I don’t usually think about hope much or wonder whether or not I have it. My mind is filled with so many other things that need to be done in a day’s time. Things that, to me, seem so much more practical in the moment, like getting the laundry done or dinner cooked. It’s true that I fall short of experiencing the hope God has for me because I get caught up in the day to day stuff. But that doesn’t mean that I don’t want to experience the hope of God or that I don’t want to feel hopeful about the future. So, I thought today would be the perfect time to talk about what it means to abound in hope. First, we have to ask what exactly is hope? 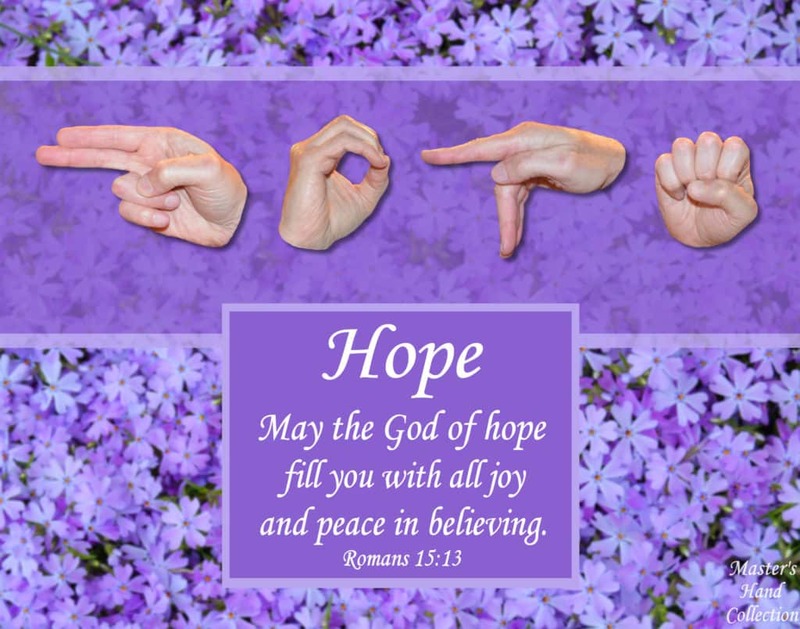 Hope is an expectation that our current circumstances will get better. The world sees hope as just wishful thinking, a Pollyanna kind of attitude that doesn’t really get you anywhere. But hope in God is different. 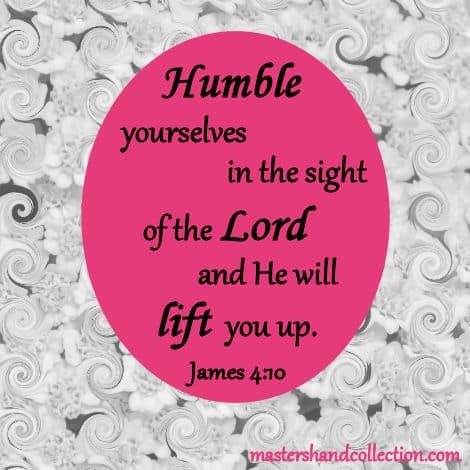 As Christians, we don’t need to walk around with rose colored glasses on. 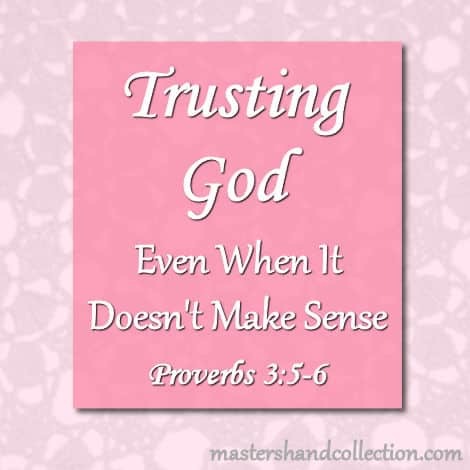 We have God on our side and we can have complete confidence that He has everything under control. 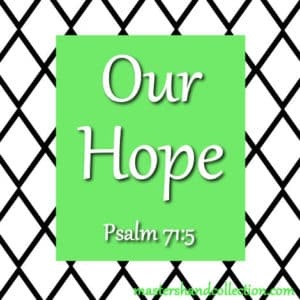 The knowledge that God is in control is real and creates a lasting hope in us. Next, where does our hope come from? This is the source of our hope. Because of His great mercy, God sent His Son, Jesus, to be our hope and to die in our place. He is our living hope because He already paid the price for our sin. Without Jesus all hope of a future in heaven would be lost. But because of Jesus and His resurrection, we are able to have hope if we believe in Him. Finally, how we can take hold of this hope and claim it for ourselves? Our original verse for today, from Romans 15:13, tells us exactly how to have this hope… “by the power of the Holy Spirit”. But you shall receive power when the Holy Spirit has come upon you. 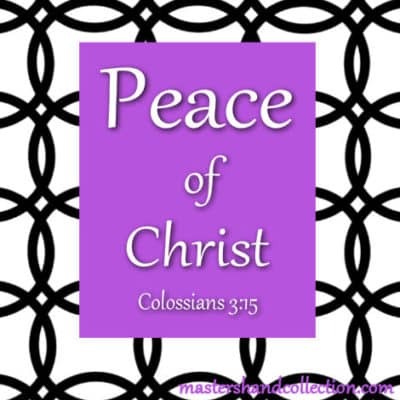 When we accept Jesus as our Savior, we automatically receive the gift of the Holy Spirit. (Acts 2:38) So, we already have the power of the Holy Spirit within us. But just as following Jesus every day is a choice, so is harnessing the power of the Holy Spirit. 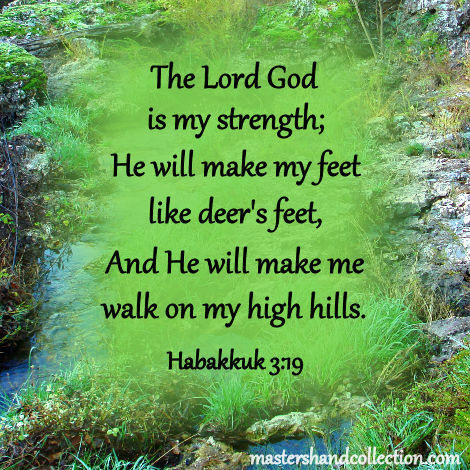 We can tap into this power by walking with God daily, reading His Word, praying and asking for guidance and seeking Him in all things. Then we will see the hope that we receive from the Holy Spirit in our lives. There will always be ups and downs in life. Some days we will feel hopeless and like nothing we do seems to work. Sometimes those days will be few and far between and sometimes they’ll pile up on top of each other. We may feel alone in our hopelessness, but God hasn’t left us all alone. He has given us the gift of the Holy Spirit and His power to guide us. God wants us to not only have hope, but to abound in that hope. If we turn to Jesus, the source of our hope, He will see us through whatever trials we face. 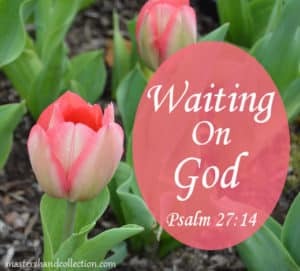 No matter what our current circumstances are, through patience and perseverance, God will give us joy and peace in believing, and the ability to abound in hope. Check out these Popular Christian Magazines! This post might contain affiliate links. In the event of a sale, I will be awarded a small commission (at no extra cost for you).